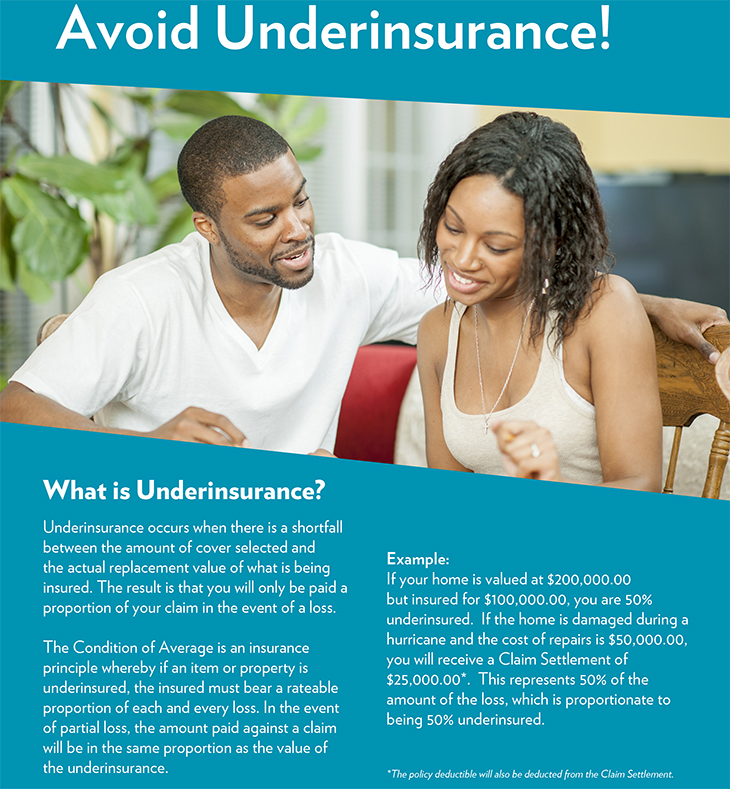 Getting the right insurance coverage starts with choosing an agency that's right for you. An insurance agency that takes the time to understand your personal requirements and has the experience to find the coverage that meets your needs. 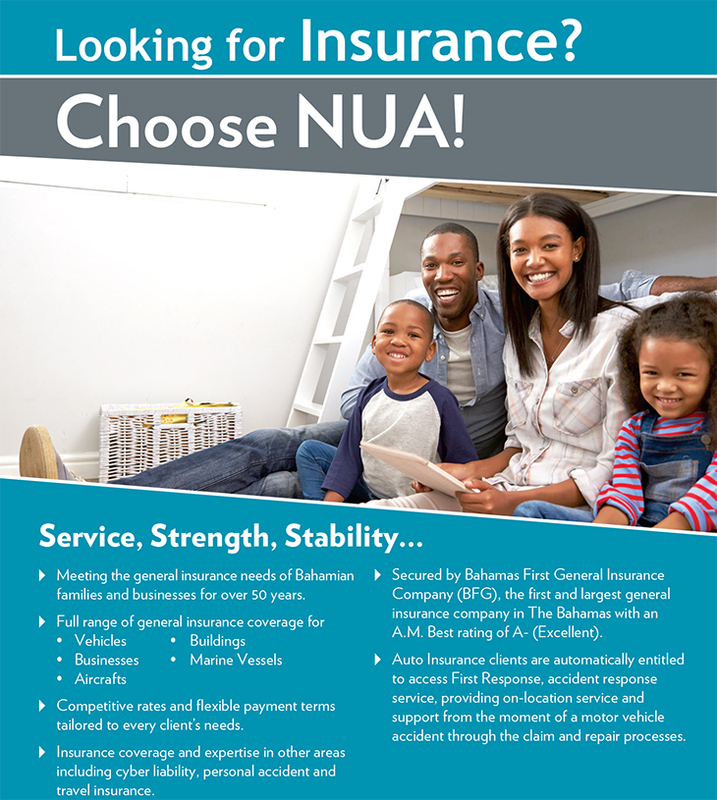 NUA Insurance Agents & Brokers is that insurance agency. We have been serving our customers for over 50 years. 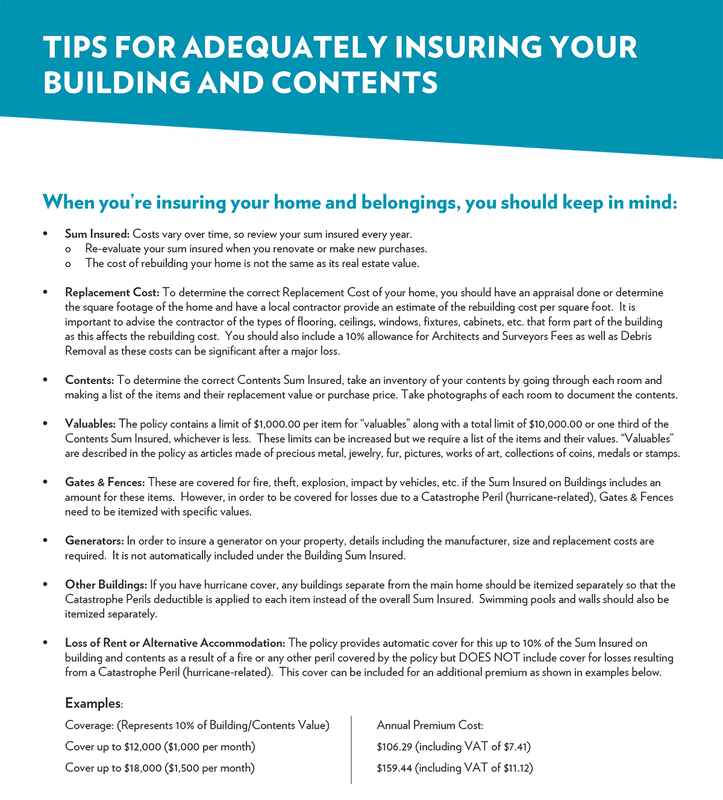 We provide a full range of insurance products, including household, motor, commercial property and liability, contractors’ all risks, marine and aviation. There are 3 branches in New Providence and branches in Eleuthera, Abaco and Grand Bahama, along with representatives in other Family Islands. As part of the Bahamas First Group, we have the security of the largest and most trusted general insurer in The Bahamas. With NUA there are no surprises. We take the time to get to know you and listen carefully to your insurance questions, concerns and needs. 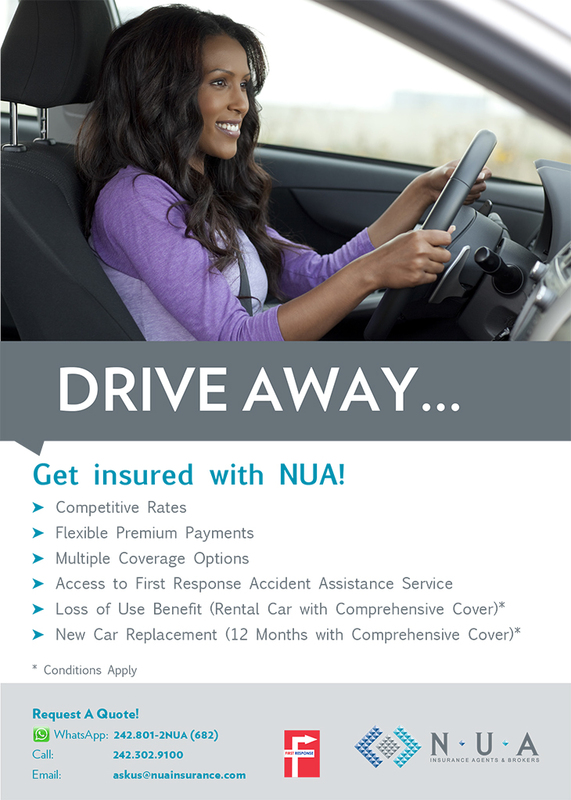 We provide options that will give you the best and affordable coverage. Call us today for all your insurance needs! Your car is more than a mode of transport: it's an expression of your personal style and one of the largest investments you may ever make. Before you get behind the wheel make sure you have adequate motor insurance: it's the law, and it also protects you in case of an accident! "Third Party" - To protect you from liability for damage to other people's property and for death or bodily injury to those persons. "Third Party, Fire & Theft" - To protect you as per Third Party, as mentioned above, and to cover the cost of replacing your stolen or burnt vehicle. "Comprehensive" - Covers all of the above plus accidental damage to your vehicle including collision and vandalism.